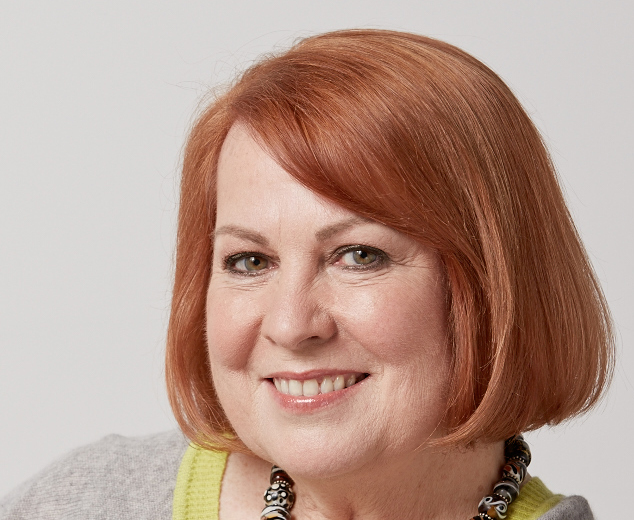 Hi Fiona, thank you for having me on your blog. It’s a pleasure to be here. I am Kathryn Gauci and I live in Melbourne, Australia. I was born in the UK and studied textiles at Art College there, specialising in carpet design. After graduating, I worked as a carpet designer in Vienna for a year and then Athens for six years. I then spent two more years in Auckland, New Zealand, before finally settling in Melbourne. For the past fifteen years, before turning to writing, I ran my own textile design studio specialising in home textiles. It was in Melbourne that I met and married my husband. I have just released my second novel Conspiracy of Lies and also took the plunge and published under my own imprint – Ebony publishing. About eight years ago now. Time Flies. I think it was towards the end of my design career when I started to put trend directions together for my clients. That involved transporting them into another world of design and colour to get the mood of the era and place. And then when I actually did manage to hold The Embroiderer in my hands I had that feeling of “I did it!”. 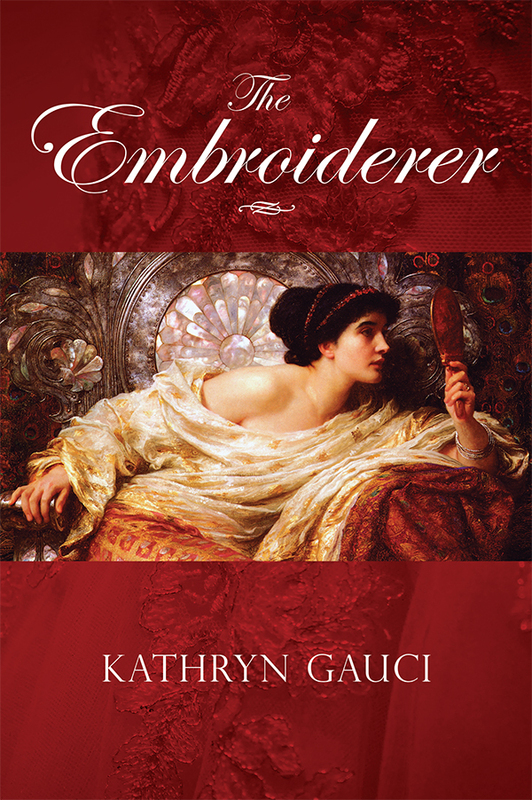 The inspiration for The Embroiderer came from hearing the stories of Greek refugees who fled Turkey or were expelled after the Asia Minor Catastrophe in 1919-23. I worked in a carpet company in a refugee suburb in Athens. I also visited Turkey several times and was able to evaluate the story from both sides. It was a hard period for both sides coming as it did so soon after the Balkan Wars and the First World War. Embroidery and couture are the main threads that hold the story together so that was a natural title. The Greek version is called The Embroiderer of Smyrna as Smyrna is familiar to the Greek people. The other major thread is superstition. Painting is another one. These threads help contrast the upheavals at the time. Conspiracy of Lies is definitely a story based on many lies. I try to find the human perspective in a situation; what makes people do the things they do in uncertain times. We are all capable of changing and doing things we never would have dreamed of given the circumstances. Once I am sure of the plot, I don’t find writing challenging. And I love the research. The events in both books, The Embroiderer and Conspiracy of Lies are based on real events. I think the historical part must be true. It is the protagonists that weave the story and they are a product of my imagination. 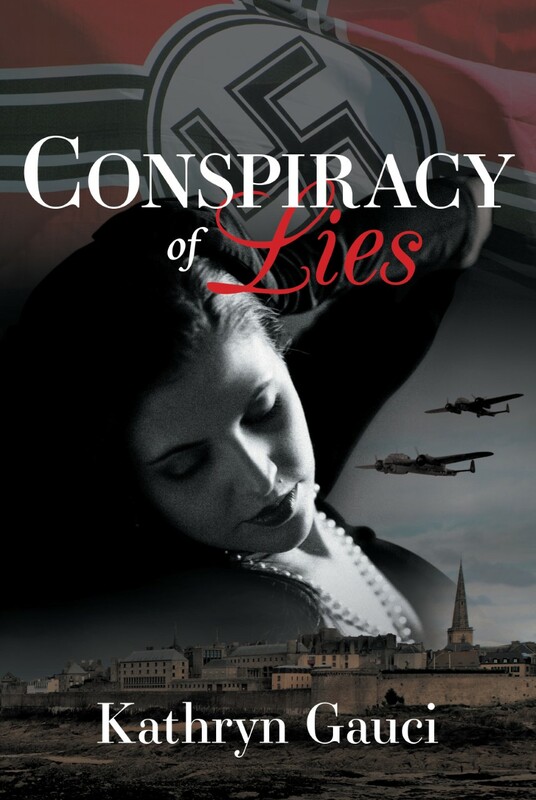 In the case of the latest, Conspiracy of Lies, I did a lot of research of female (and male) agents in Occupied Europe during WWII, especially France. The Embroiderer also has a section which is set in Athens during WWII and I read extensively about the agents in Greece also, many operating from Special Operations Executive instructions based in Cairo or Greek Resistants. One very famous female Resistant, Lela Karagianni, lived a few streets away from where I lived in Athens. She was shot by the Gestapo in 1944. Before writing. That gives me the inspiration. Travel is very important for me. I need to totally immerse myself in the places I write about. Silverwoods in the UK. The Greek edition of The Embroiderer of Smyrna was designed by the publisher in Greece, Oceanos-Enalios. That the world we find ourselves in can change and we are all capable of achieving and doing things we never thought possible. Fiona: Are there any new authors that have grasped your interest? Who is your avourite writer, and what is it about their work that really strikes you? I love Nikos Kazantzakis because he describes the Greek spirit for me. D.H.Lawrence for his insight into the human character. Louis de Bernieres because he combines history tinged with irony. His stories can be both sad and comical at the same time. Any author who brings out the human condition. Myself. I didn’t know any published authors until I was ready to publish. And now, I would have to say it has been other authors and my agent in Greece. She has supported and believed in me from the time she first saw the manuscript of The Embroiderer. Yes. Not an easy one but I believe that if you are going to do something you must give it your all. I don’t think so. I am happy with the plot and the build up of suspense and drama. I suppose we can all find minor things we could change but there comes a point when you have to stop and be happy with what you’ve done. I think we can always learn something. My plotlines are never simple and finalizing Conspiracy of Lies was quite difficult. I had to achieve an outcome in a short time-span in the plotline and it had to be logical. It took longer to write than I anticipated but I knew I would get there in the end. I always enjoy the things I learn from researching a book. I am not sure that I would like a famous person to play Conspiracy of Lies unless the female role was a French actress. For The Embroiderer I would choose Greek and Turkish actors. Its hard work and you MUST believe in yourself. Find a good editor and get a professional cover designer. Writing is creative and you must be prepared for the highs and lows. But it is also a means of transporting yourself into another world. It’s good to dream. Self-belief and hard work are just as important as in any other field. As a child, probably Rupert Bear or Brer Rabbit. Then I moved to Charles Dickens. My cat makes me laugh – and the crazy Australian birds that come to the bird feeder outside my window. A good book or film makes me cry. Only one! So difficult. Either Patrick Leigh Fermor or Richard Burton, explorer and translator of A Thousand and One Nights. I like adventurers. I love to cook and bake. I like gardening and if I had more time I would do more glass jewellery making. Downton Abbey or a good crime series. In films, I love most French films because they have unusual plotlines and I love the old classics – Casablanca, The Third Man, The Godfather, etc. Moules mariniere, (in Conspracy of Lies!) Baked prawns and fetta. Colours: red, copper, shades of butter yellows, black and white. Music: I have an eclectic taste from classical to sultry French or Bosa Nova. Sip champagne and read in a garden with a wonderful view. Thank you for interviewing me, Fiona. I enjoyed answering your questions. Great interview, Kathryn, Fiona. I enjoyed it!